This information updated as of 10/23/18. Beginning on January 1, 2019, Medicare retirees will have access to some additional benefits, including reimbursement of certain co-payments and participation in NJWELL. Those new benefits are explained in more detail below. In addition, some current Medicare supplemental plans currently offered to Medicare retirees will be replaced by Medicare Advantage plans. Medicare retirees will still have access to other Medicare supplemental plans, should they choose them. That is also explained in more detail below. Medicare Advantage is a medical program delivered to Medicare retirees on a fully insured basis. This means Medicare pays a fixed amount to the insurance carrier for the member’s care. In addition, the State of New Jersey pays a fixed amount to Aetna to supplement what Medicare con­tributes. Under this scenario, the insurance company must follow certain rules of Medicare and supplement the benefit based on rules approved by the State. Are all plans becoming Medicare Advantage plans? No. Currently there are 11 plans offered to SEHBP retirees. Of those, four are Medicare Advantage plans and seven are Medicare supplement plans. As of January 1, 2019, there will be four Medicare Advantage plans and five Medicare supplemental plans. Beginning January 1, 2019, the Horizon NJ Direct 10 and the Hori­zon NJ Direct 15 Medicare supplemental plans will be eliminated. With that change, there will still be four Medicare Advantage plans administered by Aetna, and five Medicare supplemental plans ad­ministered by Horizon BCBS. What plan will I be enrolled in? Reimbursement of office co-pays up to $250 per plan participant. Access to the NJWell program which offers an incentive of $250 per plan participant for completing several well care activities. If you are currently enrolled in Horizon NJ NJ Direct 15 as your Medicare supplemental plan, the SEHBP will automatically transfer you into the Aetna Educators Medicare 15. You will also be eligible for the two (2) new benefits not previously offered. If I am automatically transferred to an Aetna Edu­cators Medicare plan, will my benefits change? No. The Aetna Educators Medicare 10 and the Aetna Educators Medicare 15 have the same, or better, benefit levels as the Horizon NJ Direct 10 and Horizon NJ Direct 15 respectively. How will these changes affect my spouse/partner? Everything in this document applies to both you and your covered spouse or partner. 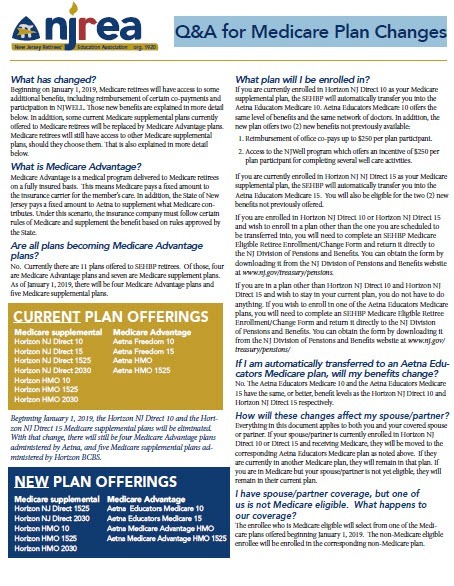 If your spouse/partner is currently enrolled in Horizon NJ Direct 10 or Direct 15 and receiving Medicare, they will be moved to the corresponding Aetna Educators Medicare plan as noted above. If they are currently in another Medicare plan, they will remain in that plan. If you are in Medicare but your spouse/partner is not yet eligible, they will remain in their current plan. I have spouse/partner coverage, but one of us is not Medicare eligible. What happens to our coverage? The enrollee who is Medicare eligible will select from one of the Medi­care plans offered beginning January 1, 2019. The non-Medicare eligible enrollee will be enrolled in the corresponding non-Medicare plan. Will I need to get referrals to see specialists under the Aetna Educators Medicare plans? No. Referrals are not required under either plan. However, under most Medicare Advantage plans, your doctors may need to get prior authoriza­tion for certain services. What providers can I go to under Aetna Educators Medicare plans? Nothing changes about your access to doctors. You may continue to visit any Medicare-accepting provider who is willing to treat you. To find doc­tors who accept Medicare, go to https://www.medicare.gov/physiciancompare/. Will my prescription drug coverage change? No. Your prescription drug benefit will remain identical to your current prescription coverage. Do I still have to pay for my Medicare part B? Yes. In order to be enrolled in a Medicare Advantage plan, you must be enrolled in Original Medicare Parts A & B and continue to pay your part B premiums. The Aetna Educators Medicare plan will take the place of Original Medicare and become your primary and secondary coverage for all your benefits. Your payment of Medicare part B premiums will continue to be reimbursed to you through your pension check. Will active, Medicare-eligible employees be moved into the Advantage plan on Jan 1? No. Active members will continue to receive their benefits from their local school district or county college. Will the non-Medicare / early retirees benefit change? No. There will be no change to the early retiree benefits. They will continue to be able to select from the current plan offerings. In addition there will be an additional option available beginning January 1, 2019. Will Aetna Educators Medicare plans provide out-of-state benefits? Yes. These plans provide in- and out-of-state coverage. The plans use a network that consists of all Medicare-accepting providers in the United States. Can I travel outside of the U.S. and still have coverage with an Aetna Educators Medicare plan? Yes, emergency and urgently needed services are covered under the Aetna Educators Medicare plans when you travel outside the U.S. You may be required to pay the bill at the time of service and file the claim with Aetna for reimbursement. Aetna will reimburse you based on Medicare’s allow­able amounts at the time of service. Do I need a supplement plan if I enroll in an Aetna Educators Medicare plan? No. 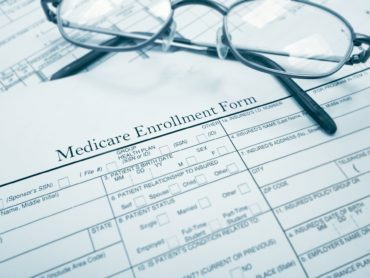 The Centers for Medicare and Medicaid Services (CMS) do not per­mit Medicare-eligible individuals to be enrolled in a Medicare Advantage plan and a supplemental plan. If you have a Medicare Advantage plan, it’s illegal for anyone to sell you a Medigap policy unless you’re switching back to Original Medicare. When I receive medical services, do I need to show my Medicare card and my Aetna Educators Medicare plan card? No. Members only need to show their Aetna Educators Medicare plan cards when they receive medical services under that plan. If I switch to an Aetna Educators Medicare plan, will I lose any benefits? No. Members will receive the same benefit levels as the current Horizon NJ Direct 10 and Horizon NJ Direct 15 respectively. Will I receive an Explanation of Benefits (EOB) from Aetna? Will I still receive an EOB from Medicare? Because Aetna Educators Medicare plan will be your primary and second­ary under one program, you will only receive an EOB for Aetna Educators Medicare; you will not receive a separate EOB from Medicare. 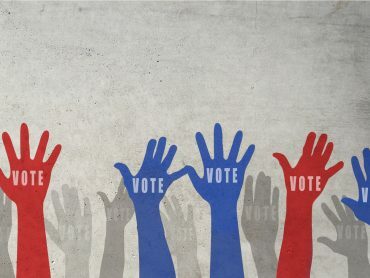 How will the Medicare reimbursement to our pensions be handled? Will it continue to appear in our pension checks? There will be no change to the reimbursement of the Medicare part B reimbursement by the NJ Division of Pensions and Benefits. The standard amount will be reimbursed on a monthly basis. For those members who pay an additional amount based on their income, the amount they pay over the standard amount will continue to be reimbursed at the end of each calendar year. How and approximately when will retired Medicare recipients be notified of the insurance plan change? Early indications suggest that the NJ Division of Pensions should be reach­ing out to members by mail in October 2018. What is the length of the contract with Aetna Educators Medicare plans? Aetna has a 2 year guaranteed contract with NJ Division of Pensions and Benefits. The state has the option of continuing that contract under one-year extensions for an additional three (3) years. How does the NJWELL program work? How does the reimbursement of the co-pays work? Members and covered spouse/partner enrolled in an Aetna Educators Medicare plan will be reimbursed their copayments for physician visits each year up to a maximum of $250. 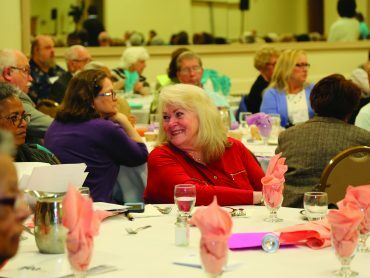 This unique benefit can provide an additional $250 each for both the member and their spouse/partner. Will there be a “helpline” for retirees to phone with specific questions about the Aetna Educators Medicare plans? Medicare retirees can call Aetna Member Services at 1-866-816-3662 8 a.m. to 6 p.m. EST, Monday through Friday.